A pullover with an overall slim fit and a casual crew neckline. 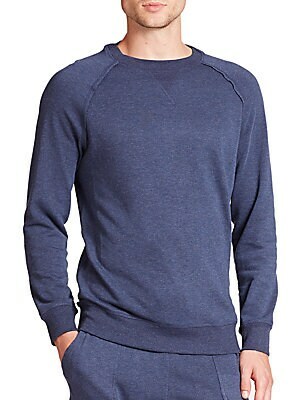 Crewneck Long sleeves Ribbed cuffs and hem Cotton/polyester/rayon Machine wash Imported. Men Accessories - Underwear. 2(X)IST. Color: Black Heather. Size: L.
A pullover with an overall slim fit and a casual crew neckline. 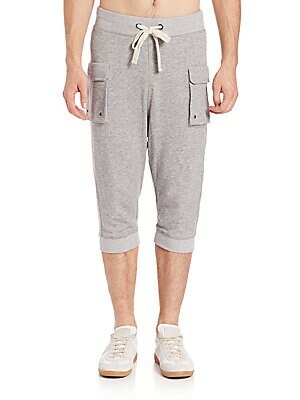 Crewneck Long sleeves Ribbed cuffs and hem Cotton/polyester/rayon Machine wash Imported. Men Accessories - Underwear. 2(X)IST. Color: Black Heather. Size: S.
A pullover with an overall slim fit and a casual crew neckline. Crewneck Long sleeves Ribbed cuffs and hem Cotton/polyester/rayon Machine wash Imported. Men Accessories - Underwear. 2(X)IST. Color: Black Heather. Size: XL. Boxer briefs crafted in soft Pima cotton Microfiber elasticized logo waist Pima cotton Machine wash Imported. Men Accessories - Underwear. 2(X)IST. Color: Black. Size: L.
Boxer briefs crafted in soft Pima cotton Microfiber elasticized logo waist Pima cotton Machine wash Imported. Men Accessories - Underwear. 2(X)IST. Color: Black. Size: M.
Boxer briefs crafted in soft Pima cotton Microfiber elasticized logo waist Pima cotton Machine wash Imported. Men Accessories - Underwear. 2(X)IST. Color: Black. Size: S.
Boxer briefs crafted in soft Pima cotton Microfiber elasticized logo waist Pima cotton Machine wash Imported. Men Accessories - Underwear. 2(X)IST. Color: Black. Size: XL. Boxer briefs crafted in soft Pima cotton Microfiber elasticized logo waist Pima cotton Machine wash Imported. Men Accessories - Underwear. 2(X)IST. Color: White. Size: L.
Boxer briefs crafted in soft Pima cotton Microfiber elasticized logo waist Pima cotton Machine wash Imported. Men Accessories - Underwear. 2(X)IST. Color: White. Size: M.